You're reviewing: Microsoft Office 2016 Professional (for Windows). Microsoft Office 2016 Professional (for Windows) is a major upgrade of the well-known office suit and is the perfect tool for your ever-smarter experience while working on your projects. The Windows release introduces a number of new features to enhance your productivity, data analysis and collaboration and communication with a team. Collaboration in the cloud is actually what makes the real difference. With Microsoft Office 2016 now you can share a document in a collaborative workspace so you or your team members can access it from anywhere. 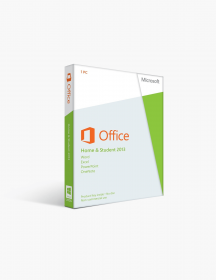 Microsoft Office 2016 Professional also offers various other features, with some of them especially designed for small businesses or enterprise groups. Microsoft Word 2016 You’ll find many improvements in the popular app for creating and editing documents. Along with the well-known features from previous editions that allow users to produce professionally-styled documents, such as immense variety of templates, 3-D effects, shadows, SmartArt graphics and other text formatting options, you, without doubt, will be thrilled to find the real-time co-authoring possibility. A Word document that is shared in OneDrive for Business can be now viewed, edited or updated simultaneously by several users. The improved Word also allows you to track comments and mark them as done with the reply function. Microsoft Excel 2016 Excel 2016 is characterized by new analysis and forecasting features. A previous add-on Power Query is now built-in and you can literally pull data for analysis from almost anywhere, including websites, SQL, Access, and other databases. The improved Excel contains six new chart types: box and whisker charts, mainly used in statistical analysis; histograms, which show frequency data in columns; Pareto charts to determine the biggest factors in a dataset; sunburst charts to show levels of a hierarchy; treemap charts to compare proportions within a hierarchy and waterfall charts to show a running total as values are added or subtracted. The new time series allow you with one click to make forecasts and visualize future trends, based on available data. And of course sharing your workbook with others has never been easier. You just have to click on Share in the top-right corner in the ribbon and continue by using OneDrive, OneDrive for Business or SharePoint. Microsoft PowerPoint 2016 PowerPoint is also not an offline application any longer with the enhanced collaboration features added everywhere in the 2016 suite. The visual effects and templates are enriched by adding a Designer sidebar to optimize the layout of slides and new animations, such as the Morph slide transition, to bring life into your presentations. Sharing your ideas over the web will help you incorporate feedback into your presentations. Microsoft OneNote 2016 The OneNote 2016 has similar functionality as the previous version. The notes, spreadsheets and any other kind of files are kept in one place while allowing you and your team members to collaborate on projects with ease. With Office 2016 it's easy to create a collaborative Team Notebook in OneNote. You have to create a new notebook on a Microsoft cloud drive, and click the Share button to make it accessible to collaborators. 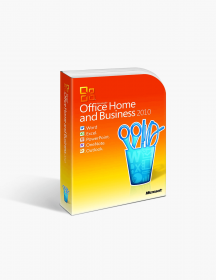 Microsoft Outlook 2016 Besides the new colorful theme, Outlook 2016 comes with a number of new features to improve the efficiency of your work, to help you collaborate more easily and to manage email overloading. Such is the new recent-documents feature that enhances the faster integration with the other Office apps. Outlook 2016 shows you a list of all files you worked recently on and you don’t have to search your whole computer. Another new feature is Clutter. Outlook 2016 prioritizes your messages according to your preferences and moves the low-priority ones into the clutter folder. Collaboration with other team members is improved through timesaving Group functions built into Outlook. 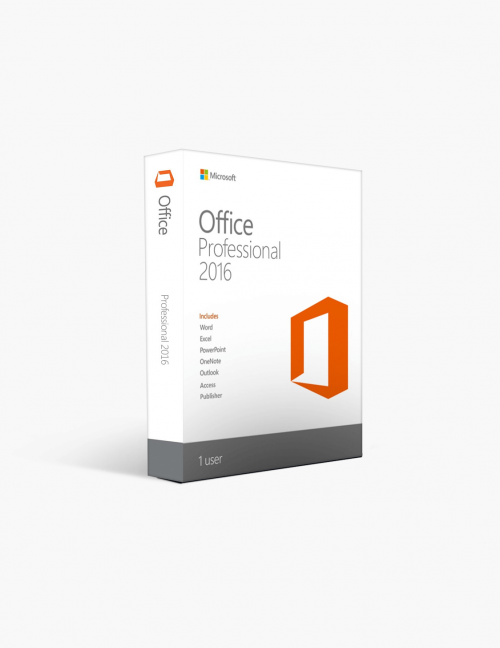 Microsoft Office 2016 Professional is an upgrade that adds improved real-time collaboration tools, built-in intelligence to enhance your workflow, better security, and a number of new time-saving features for better performance. New Ribbon Look and Features - The first difference you’ll spot is the default colorful background for the ribbon tabs, according to the color of the application's icon, i.e. dark blue for Word, dark green for Excel, orange for PowerPoint. You can easily go back to the old white theme or the dark gray, which is designed for people with impaired vision. The ribbon also comes with the useful new feature Smart Lookup. You can right-click on a word or phrase in any Office 2016 app and you can either Explore Wikipedia or other web-based information, or use Define to see definitions from the Oxford dictionaries. The Smart Lookup is also available from the Review menu. Another new intelligent feature is the Tell Me box in all Office 2016 apps. It is very helpful when you don't know how to perform a certain task. You just type what you want to do in the box and the Office 2016 offers you a list of commands to complete your work. In case you select an object in your document, an image for example, and ask for help, you’ll be offered commands specific to the selected object. Saving and sharing - The other new feature on Office 2016 apps top-line menu is the Share button in the top-right corner. You use it for inviting collaborators to view or edit your document, and it can be done simultaneously. Collaborative documents are stored on a Microsoft cloud server, either OneDrive, OneDrive for Business, or an Office 365 SharePoint site. Saving documents in Microsoft's cloud services gives you easy access to previous versions, which you can edit or copy text and graphics into the current version. 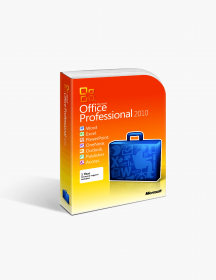 Improved security - Office 2016 Professional is the most secure Office suit ever with the built-in features Data Loss Prevention (DLP) and identity management for more secure access, especially in a larger enterprises. These are minimum system requirements for installing Microsoft Office 2016 Professional (for Windows). CAD$274.00 | In Stock Want it Now? Order and receive your download instantly.